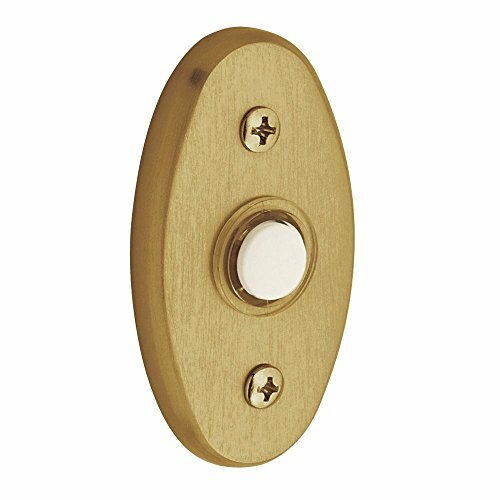 Oval Bell Button Illuminated button brass construction with concealed fasteners. The product is manufactured in China. Baldwin hardware is solid throughout, with a 60 year legacy of superior style and quality. Baldwin is the choice for an elegant and secure presence. Baldwin guarantees the beauty of our finishes and the performance of our craftsmanship for as long as you own your home. 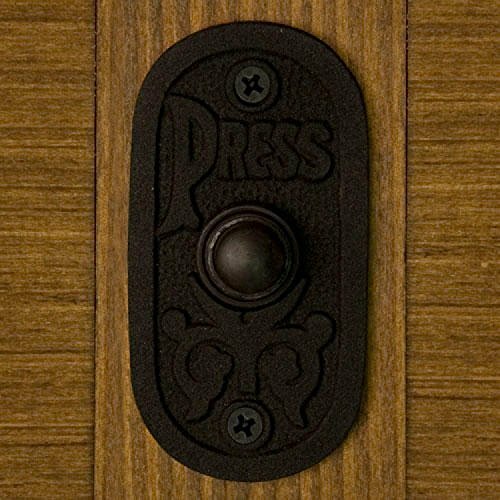 4858 Oval Bell Button Aged Bronze, Delightfully ornate, Baldwin's bell button brings a glimpse from another time and place right to your front door. 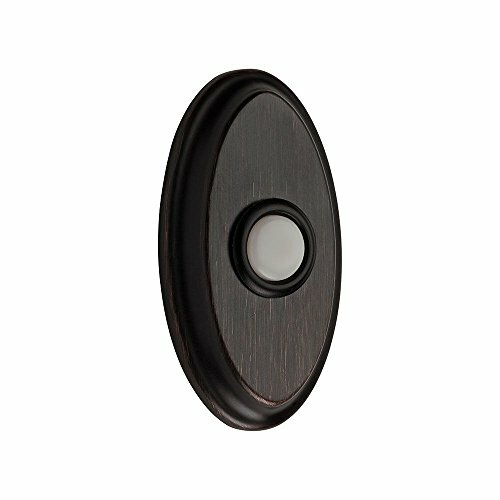 The Antique White Button is Always Illuminated for Night Detection. 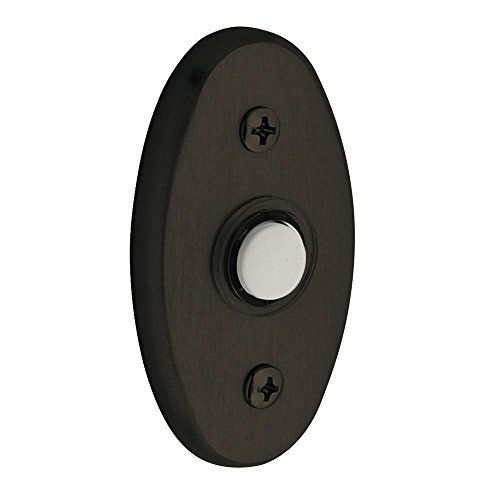 Baldwin lighted bell buttons the perfect upgrade for entrance ways that just need that little extra push to go from ordinary to extraordinary. 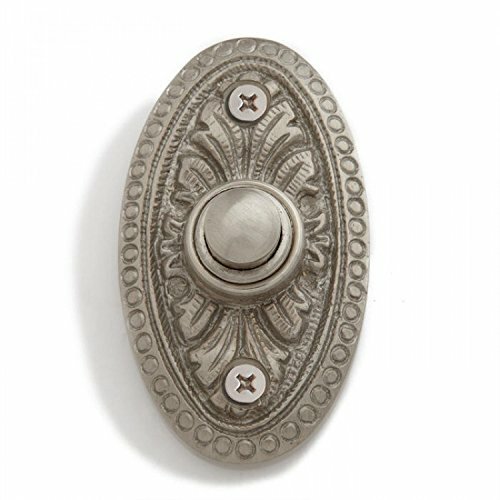 Casa Hardware Rust Style Iron "Press" Oval Doorbell with Push Button in 2 Finishes Material: Iron Rust is oxidized iron living finish. Overall dimensions: 1-1/2" L x 3-1/4" H. Exposed screws (included). Fits two-wire electrical systems. 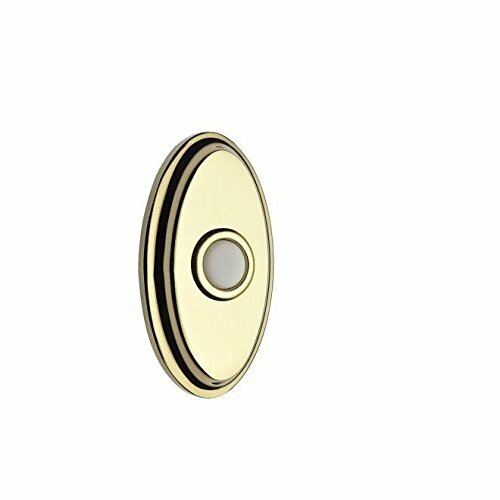 Casa Hardware Deep Style Solid Brass Oval Doorbell with Push Button in Brushed Nickel Finish The doorbell is recessed mounted Material: Brass Made of solid brass. 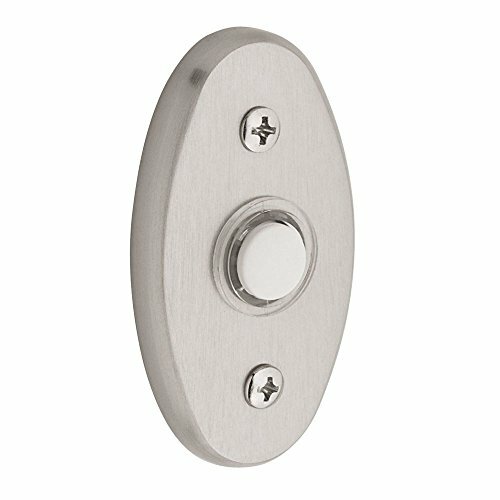 Overall dimensions: 1-5/8" L x 2-3/4" H. Exposed screws included. Fits existing two-wire electrical systems.IMPORTANT NOTE: Any of our surface mount doorbells require some type of cut out in the back to account for the wiring hook up.If doorbell does not ring please ensure that the breaker to the doorbell hasn't been trapped.